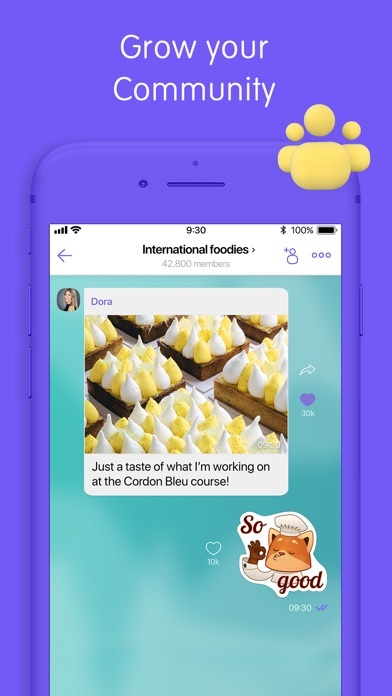 IOS App Developer: Viber Media SARL. 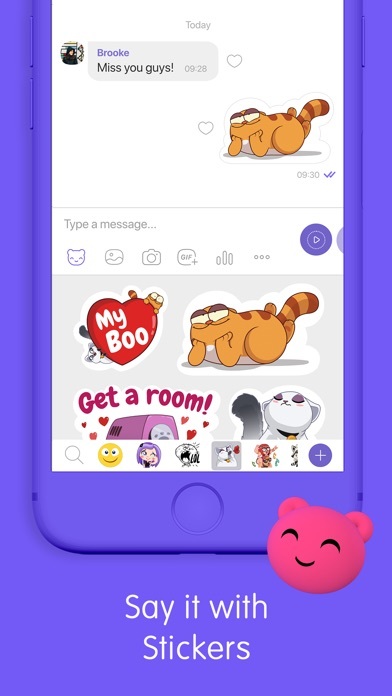 So far I am very impressed with what Viber has to offer me as a new member. Especially, with the end-to-end encryption. Only reason I rated 4stars was that it’s lacks the options to be able to send text messages to non-Viber members and would be nice to have an option to create an encrypted email account. I don’t mind paying an additional monthly fee or adding this option as a monthly package with out going calls. 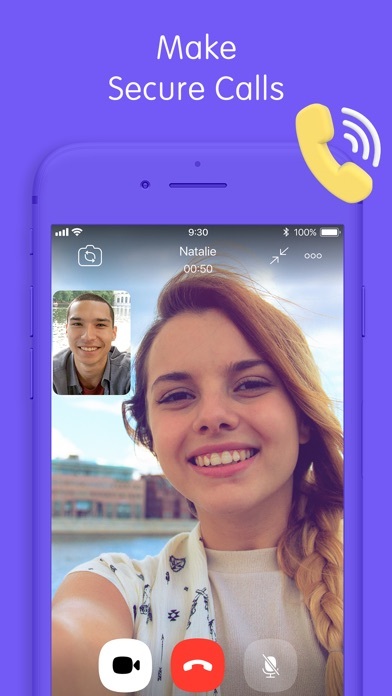 A reference guide to what I am seeking for Viber is the Sudomail app. Sudomail with having both functionality to send emails and SMS to non-Sudomail members. 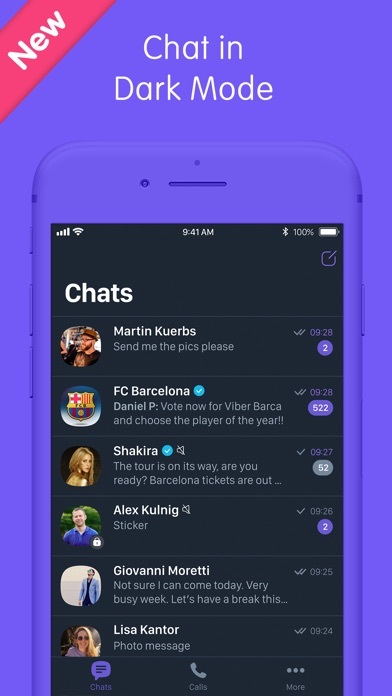 The Viber app would be an amazing game changer on how it would assist me on my daily needs in personal and professional life. Especially, with having a large clientele based employment and not wanting to hand out my personal number and email. It will also add functionality, fluidity, less time consumption and most of all less apps to use. Basically I’m seeking and potentially wanting an all in one that could meet my needs. 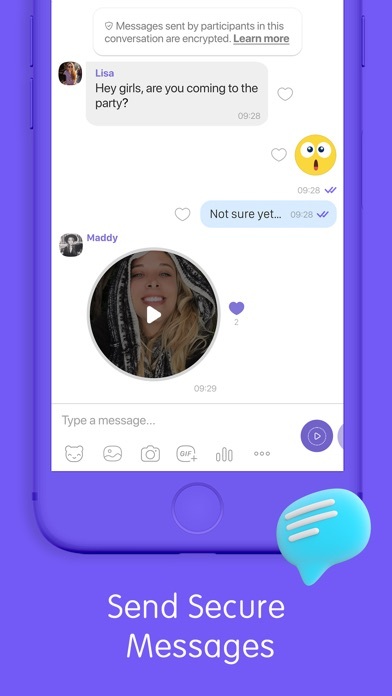 I’m sure with these functions it will give Viber the ability for more growth for the company with more members. I hope you take my feedback and probably with new the additional functions to the app with the next update. 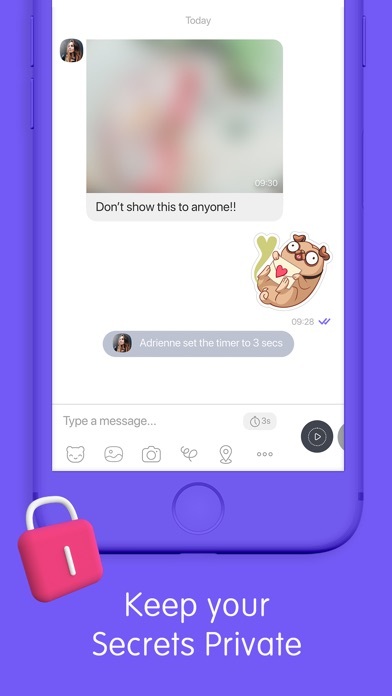 Keep up the great work VIBER!! When somebody calls me on viber after some minutes automatically viber ad will appeare on the screen and call get disturb . After that neither I can hear his voice nor I can talk to him. Please fix this issue. Thankyou . If dark mode is unavailable on one of the plaforms, in this case the iPad, it should clearly state the limitations of the feature in the description. As it stands it’s false advertising because it lists a feature not all users will be able to use. 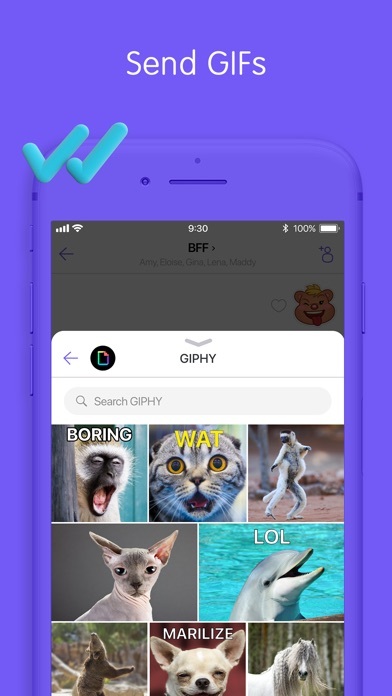 More IOS Apps by Viber Media SARL.